Vector graphics use lines and curves to describe graphics. The elements of these graphics are points, lines, rectangles, polygons, circles, and arcs, etc., which are calculated using mathematical formulas. For instance, a vector graphic of a tree actually forms a outline of a frame by a line segment, and the color of the frame and the color enclosed by the frame determine the color displayed by the tree. The vector graphics is based on geometric features. The vector can be a point or a line. The vector graphics can only be generated by software. The file occupies less space. Because this type of image file contains separated images, it can be combined with any image. Vector art is ideal for printing since the art is made from a series of mathematical curves, it will print very crisply even when resized. 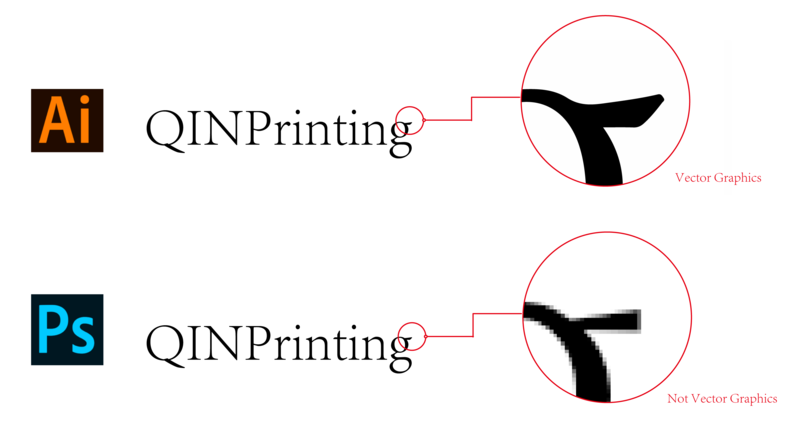 For instance, one can print a vector logo on a small sheet of copy paper, and then enlarge the same vector logo to large size and keep the same crisp quality. Vector graphics is scalable and it can convert to raster. But raster can’t convert to vector. Vector graphics include AI, SVG, DRW, CGM, EPS and XML format artwork. Raster includes BMP, JPG, GIF, PNG format artwork.